The OPTICS2 Consortium is glad to announce its 1st Workshop, to be held on the 5-6 of June 2018 at EASA (Cologne). With a focus on Aviation Cybersecurity, it will address the question: What’s around the corner in cybersecurity, and what research needs to be done to prepare for it? 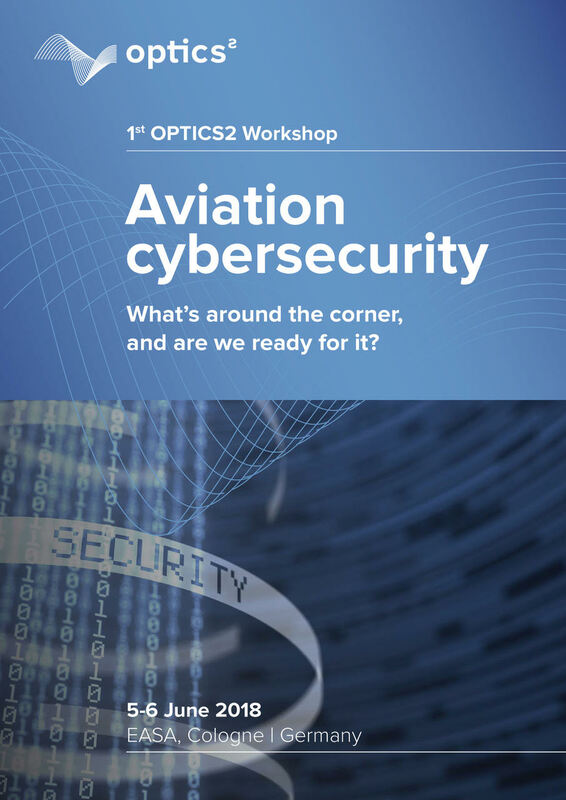 A range of experts form all the aviation domains – regulators, research and industry – will be brought together to discuss existing and potential future cyber threats, and identify the top 10 list of both urgent and mid-term research topics that are required to maintain a safe and secure air transport system, today and in the future. Don’t miss this opportunity and register to the workshop. You will listen to exclusive speeches and contribute to the identification of research priorities that will be translated into recommendations to steer EU Aviation Security research!